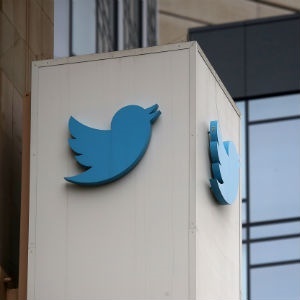 Twitter connects brands to the most influential audience when they are the most receptive, a recent study has found. These are the results of a usage study in South Africa, which Twitter conducted together with Kantar Media among 1 500 Internet users, including 606 people on Twitter. Users of the microblogging site are influential in their social circles, the study found, and they share their recommendations and assessments regularly, more so than the average internet user. More than four of five South African people on Twitter (84%) love to express their opinions on favourite topics. Twitter users are also a "fountain of knowledge" for their social circles, the researchers said. Nearly two thirds of South Africans on Twitter, (65%), are regularly asked for advice from friends and family when they’re making a purchase decision. "Reaching the right people at the right time [when they are in] the right mind frame is increasingly a challenge for markets across sectors," the researchers said in a statement. South Africans prefer to exchange information about products and brands: 58 % regularly share their opinions, 77 % actively follow the opinions of other people on individual products and services. What’s more, Twitter users are more influential than the average internet user across all products and services categories explored. South Africans on Twitter are therefore more likely to discover new things than the average (85 % vs. 82 %), are more open-minded about new things (88 % vs. 85 %) and like to be the first to try out new things (59 % vs. 48 %). This creates ideal conditions for brands to reach consumers when they are the most receptive, the researchers said. "Consumers are turning to Twitter to see what’s happening, closely immersed and open to taking in new information, which means that Twitter users are in a 'discovery mindset'." Barry Collins, Senior Director of Twitter Client Solutions: "While lots of other apps and platforms are about: 'Look at me', Twitter is definitely saying: 'Look at that'. This is what makes Twitter unique. South Africans on Twitter are open-minded and curious. They want to discover new things and share and discuss them with the community. That's what makes them so valuable as a target group for advertisers." South Africans on Twitter also prove to be a particularly attractive target group for brand communication in other respects: They are more willing to pay more for high-quality products than the average online population (71% vs 66%). Especially if the product comes from a preferred brand (54% vs. 49%). They are also more likely to be brand loyal, the study found. Once a brand has won the trust of people on Twitter, they often take part in loyalty programmes (61% vs. 52%).